Did we tell you? We're Nominated for a DADI Award! 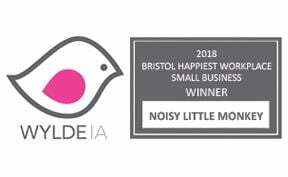 Last week we very excited to find out that we'd been nominated for 'Best Recruitment Website or Campaign' at the DADI Awards. The DADI Awards (The Drum awards for the digital industries,) "bring together individuals and companies at the forefront of digital and providing the opportunity for those entering to prove how good they are"
Our nomination was based on our partnership with TXM Recruit. 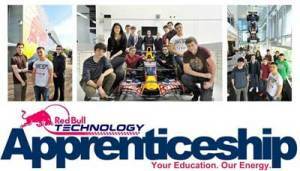 They needed to recruit 10 apprentices to work at Red Bull Technology whilst also studying at Milton Keynes College. Due to the strength of the Red Bull brand, TXM wanted to recruit these roles without resorting to the usual job boards but use a mix of social media and targeted pay per click advertising. Because the roles were aimed at young, technologically savvy people it seemed a good fit between the candidate and recruitment mechanism. We advised building a dedicated website that would sit in a sub-folder of the TXM Recruit main website, this meant that all the links and authority generated by the campaign would be funnelled back to the main website and have a longer term benefit. This website had the details of how to apply, plus the functionality for candidates to ‘give their application wings’ by uploading a video of them answering three questions. These questions mirrored the application form questions. 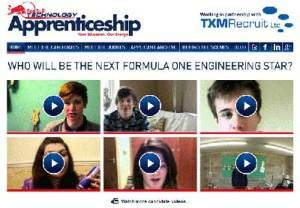 The video was not a prerequisite of applying but did allow candidates to show more of their personality and passion for F1. It also allowed friends and family to 'Like' the videos and comment on Facebook. We created a Facebook and Twitter campaign to promote the website and the jobs more generally. This was made more difficult because we couldn’t engage directly with the F1 community, mention F1 cars or indeed Red Bull Racing. We therefore had to work indirectly, relying on the message being tweeted in a more compelling way. Luckily Red Bull Racing and Mark Webber weren’t working under the same restrictions as us and could retweet the message in such a way that it reached the right audience and volume. National Apprenticeship Week was held during the recruitment process and we used this off line activity to promote the roles further. 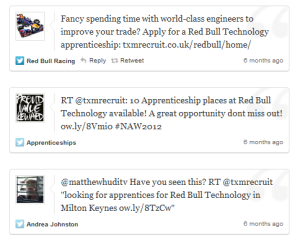 We engaged with the National Apprenticeship Services social media push that week, which further broadened the reach. - There were over 700 applications via the campaign site (with a couple of hundred more via the main site). - 60 applicants uploaded a video to ‘energise their application’. - 40 applicants made it through to the selection stage. - The 10 candidates chosen have a real love for Motorsport and engineering. They are a hugely skilled, creative and driven bunch - with one young man even moving to the UK from Canada when he got the position. 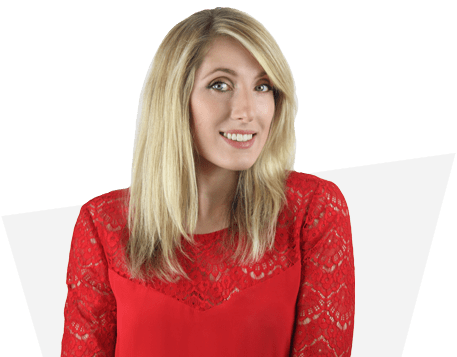 The additional long term effect of the campaign for TXM Recruit, was that their average web visitor traffic jumped from approximately 7,000 visits per month before the campaign, to 41,000 during it and now averaging 25,000 per month – more than 3 times higher than before the campaign. TXM Recruit were also awarded for the campaign, 'best innovation' award at the Global Recruiter Awards.